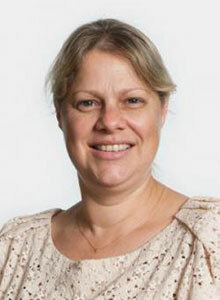 Professor Kitty te Riele is an Honorary Professor at Victoria University. She held the position of Professorial Research Fellow at The Victoria Institute for Education, Diversity & Lifelong Learning The Victoria Institute. Before joining VU, she held academic positions at the University of Technology Sydney and The University of Sydney. Kitty's research projects and publications are focused on ways in which schooling can better engage the most disadvantaged young people in our community. For this purpose, her field of research includes both education/youth policy and practice, with a focus on alternative educational programs. In particular, Kitty's research, publications and community service contribute to a knowledge base about educational initiatives aimed at empowering marginalised young people to achieve school-based qualifications. In relation to this, Kitty is interested in policy for 'youth at risk', especially for raising educational attainment and widening participation. A further research interest is in the ethical conduct of research, and especially ethical challenges in youth research. McGregor, G., Mills, M., Te Riele, K. & Hayes, D. (2015). Excluded from school: Getting a second chance at a ‘meaningful’ education. International Journal of Inclusive Education 19 (6) 608-625. Te Riele, K., Davies, M. & Baker, A. (2015). Passport to a Positive Future. Evaluation of the Melbourne Academy. Melbourne: The Victoria Institute for Education, Diversity and Lifelong Learning. Te Riele, K. (2014). Putting the jigsaw together: Flexible learning programs in Australia. Final report (PDF). Melbourne: The Victoria Institute for Education, Diversity and Lifelong Learning. Te Riele, K. (2012). Learning Choices: A map for the future. Sydney: Dusseldorp Skills Forum.